I am all too familiar with this scene, though I feel quite a bit better about it when I'm in my Silverado. Did not feel so good about it when I was in the wife's Jeep Compass a couple weeks ago. 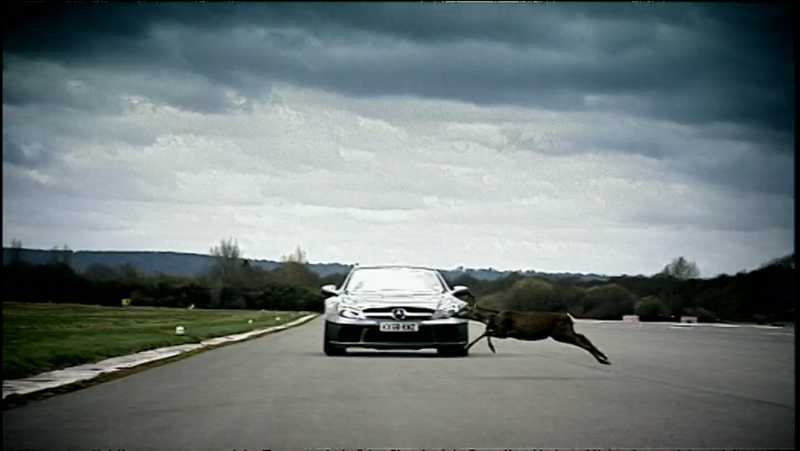 The way the scene is shot, it sure seems like the crew was on the move when the deer bounded on to the runway at Dunsfold. The above screenshot, however, makes it look like the Merc was at a standstill. That'd be a little hairy at speed.